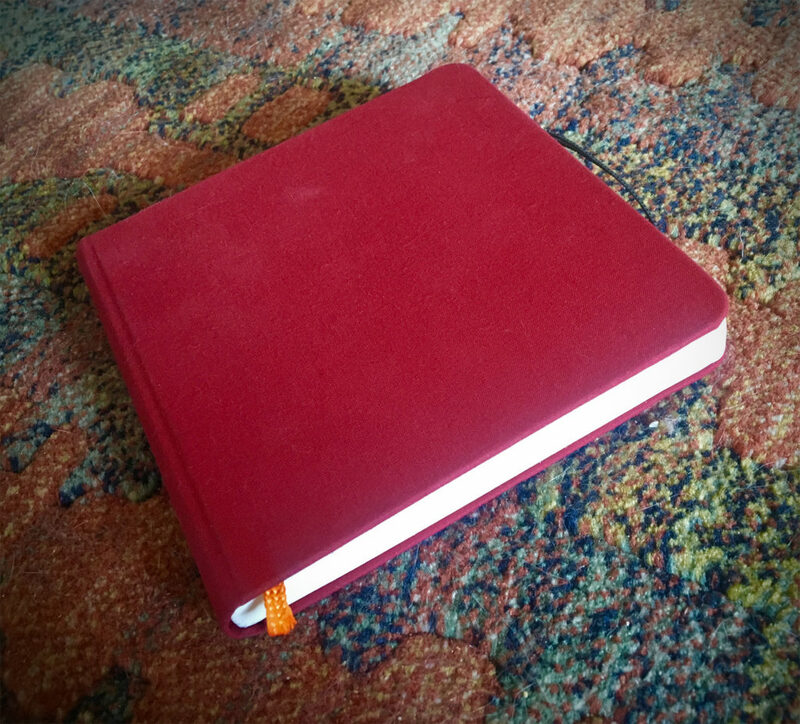 Two months ago, I bought a cute red sketchbook… it’s taken me that long to crack it open. I’ve been knowing I need, “one day,” to get back to one of the things that I never needed to be taught… art — and that to be serious about art, I need to be drawing and learning from life all the time. I’ve come to realize that yes, I can be a good photographer, I could learn video and do that well, and I can do graphic recording well, and get even better… but I never feel as alive, powerful, contributive and authentically me as when I’m doing straight-up art (or building community!). So steps must be taken! And I’m now committing myself to sketching regularly. I love this little book which is not only my favorite color, but fits so easily into my purse. You can see a recording of the performance on the Fandango Facbook page for July 3, and catch this great trio every Saturday night at 7:30. Good music is alive in Sarasota! 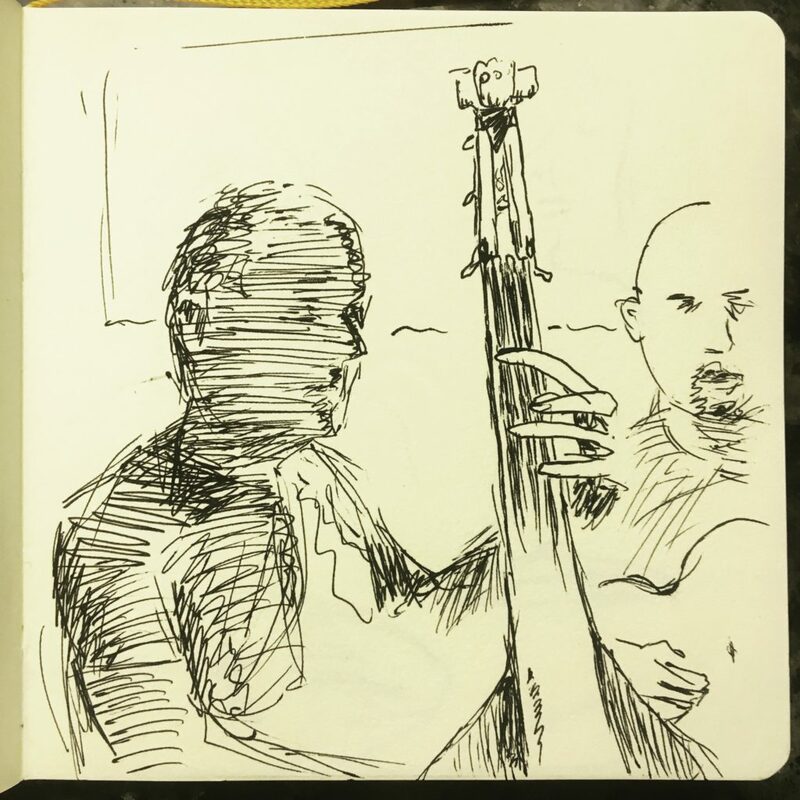 I like the sketch, but do feel I could have capture more of the gestures of the guys, and taken the shading to a more impactful level. Feedback welcomed! This entry was posted in Art, Local Events. Bookmark the permalink.